Just picked it up yesterday, it is the Roxor Classic II. With the classic II you get nothing but aluminum wheels and BFG A/Ts. Should be the perfect platform for our build. The thing is pretty neat and brings out the inner Jeep nerd in me. 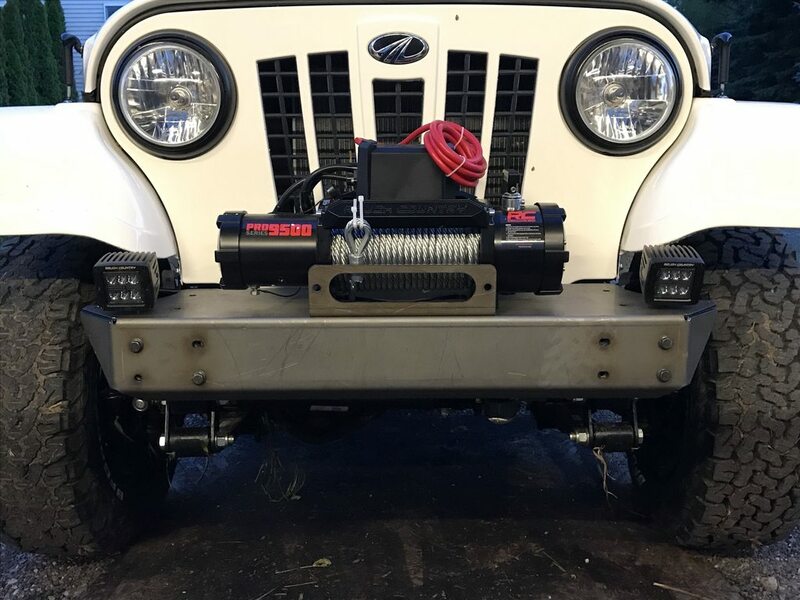 The plan is to basically base it off the classic CJ/YJ/TJ crawler platform. I've already bent the front bumper and put a nice ding in the oil pan. -Place holder for future use. Base platform to design new products off of? Excited to see what you do. Also aren't the stock axles under it Dana 44 clones? I heard they take all the same components. If that was the case why not just retube them and use waggy 44 axle shafts? That way you don't have to deal with old beat down axles. Yes, sending the front and rear bumpers to the laser cutter tomorrow. Hopefully have them back in a couple weeks. Although, I just wanted one of these , not our sole intention of purchasing it to make parts. We could retube. Time is limited these days, so regearing an axle and welding some mounts to it sounds easier, if we can find a set when were ready. This is awesome! This is why i still come here sometimes! Subscribed. How's the small diesel? Enough umph? Pretty cool plan. Good option for folks wanting to build something new and still kind of be old school. If you market them, I would think you may be the first company making aftermarket parts? been starting to see a few of these around. be cool to watch what you guys do with it. Honestly I didn't know much about these, seen them a few times, pretty cool. Looks like people have figured out how to flash the PCM and loose the maximum 45mph speed limit deal. When you have time, I did see a few technical specs on their website, might you be able to put some brief things in about it - maybe pictures and such of axles, etc.? These are considerably less than a RZR correct? $12-15? Top end is pretty slow, but the torque is nice. Great little crawler engine. They are $15-18K, depending on the options. This one was $15,500, which is bare bones besides the aluminum wheels and BFG tires. 2.5l Turbo Diesel - Cast iron block and head. Cats and EGR for emissions (no DEF). Axles are damn near identical to a Dana 44 (Front and Rear) with 5x5.5 bolt pattern. Supposedly Dana 44 parts fit inside, and you can put the older Warn Hubs on them. 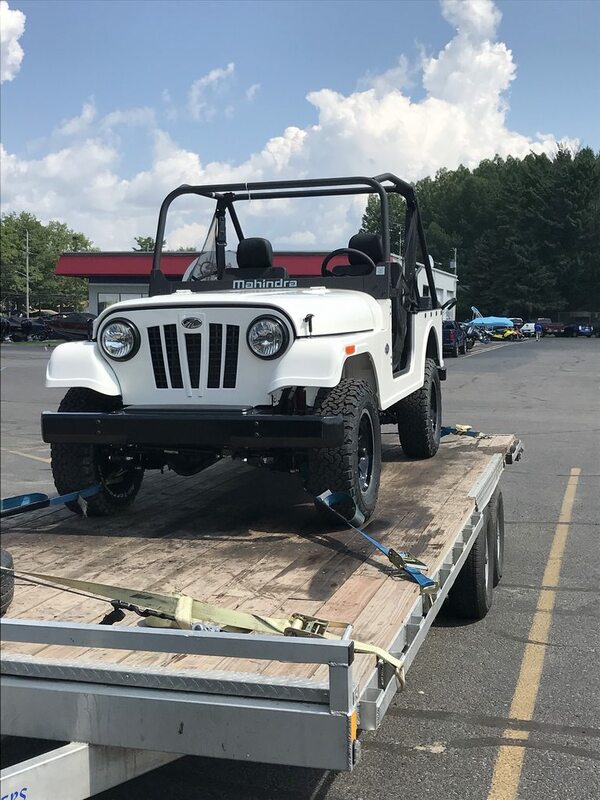 The body looks like a CJ-7, but it's really a mix of all the CJ's and nothing is exactly like the CJ's. 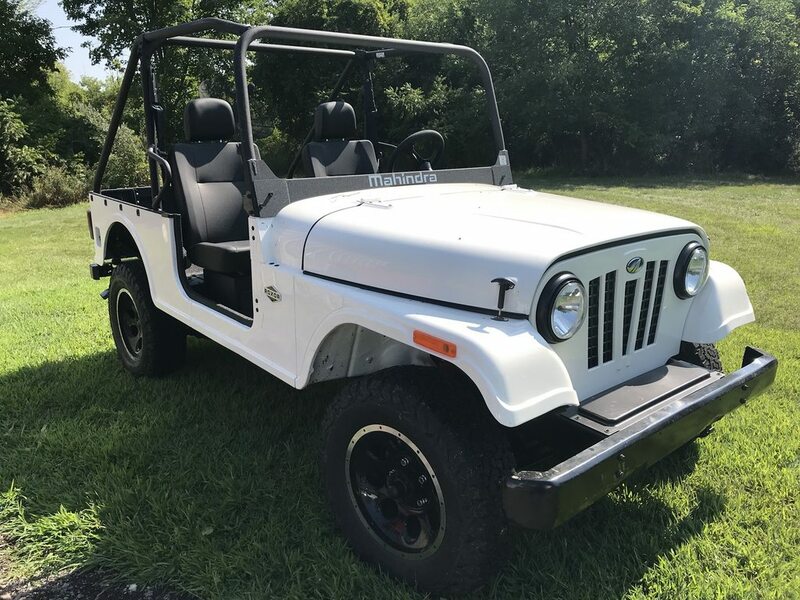 Although, supposedly any CJ5 or CJ7 windshield frame bolts on. Why the waggy axles? Seems like a lot of weight for a small rig. Have you considered yota 8"? They're already passenger drop, not to mention they're pretty cheap. I have a dana 44 offset rear out of a 74 wagoner. 3.07 gears and possible traction adder. It’s complete drum to drum. Have not pulled the cover but I used the front and it was fully functional. Pm me if remotely interested. I want it gone. No use for it. Offset rear, plus the stockers are basically Dana 44s. So that wouldn't be adding that much weight over stock. I know the offset rear doesn't stop samurai people, but they are all hacks. I went on vacation and was able to check one of these out, up close. [IMG]https://uploads.tapatalk-cdn.com/20180820/98b5b67df9b23aa492d68f177c7a8e4f. Bumpers are back from the laser cutter. Few tweaks to make and they'll be ready. The front will have D-ring shackle mounts and some tube on it. The rear is pretty low profile. I'll have some better pics by the end of the week. Looks good. Still struggling to get used to the grille. 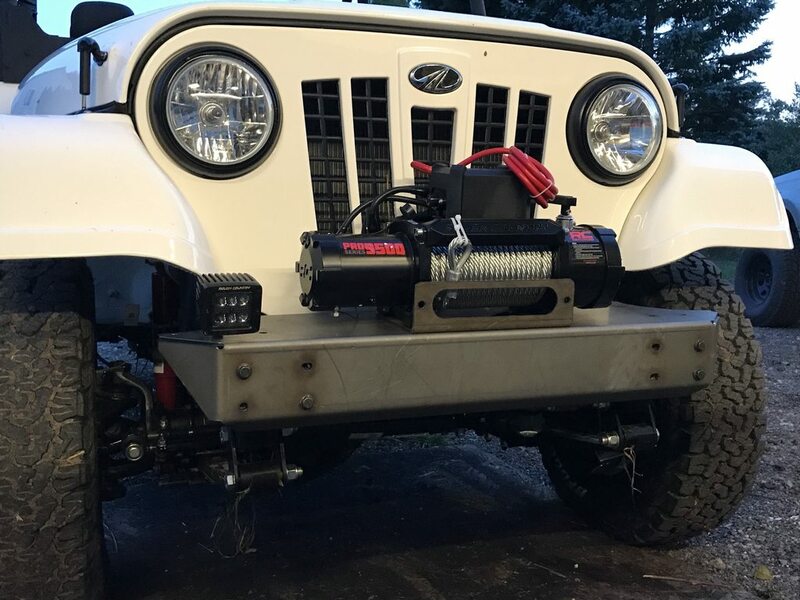 What's the possibility of putting an actual CJ grille in it?